One of the problems I find quite common these days is what I’d call “green tea puerh.” This is stuff that, basically, have been through too much/too hot a kill-green process, and the tea has consequently turned into green tea. Some of you might ask “well, isn’t puerh basically green tea?” Well, yes and no – greens, such as Longjing, have been through higher temperature firing than things like puerh. Whereas puerh will age into something because it’s still alive, teas like Longijng are cooked – fixed in form, and need to consumed as soon as possible. 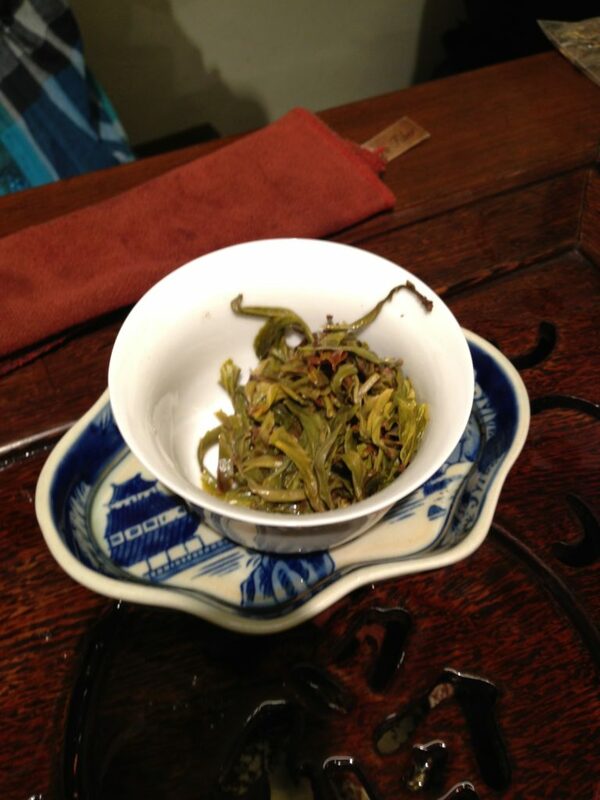 It’s not entirely clear what the reason for the proliferation of green-tea puerh is, but as Scott of Yunnan Sourcing recently described, it’s as if all the farmers bought a tumbler machine to help them fry the tea leaves, and nobody learned how to operate it properly. So what happens is that they do it too hot or too long, and the tea gets cooked. The result of such cooking is bad, very bad. 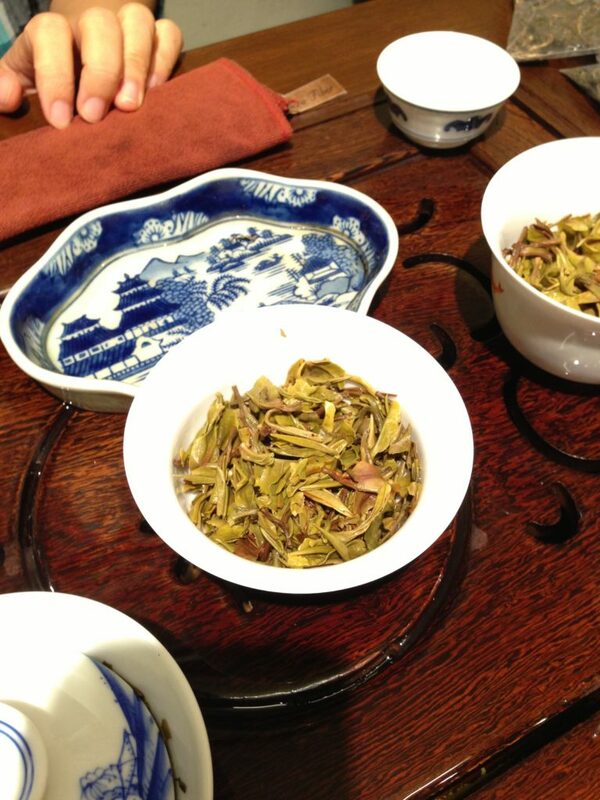 Initially, it will yield a pleasant tasting tea with good floral or beany aromas, sweet, and perhaps smooth. What hits you though is if you try the tea two, three, or four years down the road – it’ll be bitter, nasty, thin, sour, all the things you don’t want in an aged tea, because it’s aged green tea. I recently tried a sample given to me by a vendor two years ago. At that time the tea tasted a bit off – but it’s called “honey sweet.” Well, honey sweet has now turned into massively bitter. It’s terrible, and it’s a shame, because the raw materials were good. I just had a tasting with some friends of five newly made teas. Of the five, three were of the “way too green” variety. This is not a regional thing – this is a processing problem. 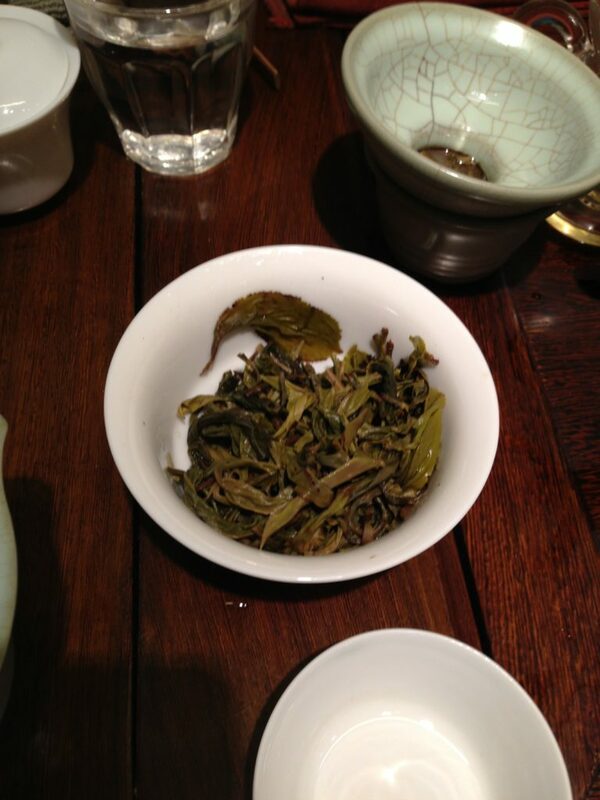 Two of the teas are fine – one is from Xishuangbanna, while the other is from Menghai. The rest were all green teas in disguise, and no doubt, in a few years, the people paying good money for them (and good money it is – one is selling for 5000 RMB on Taobao a cake) will regret it. Or, they can keep fooling themselves and say it’s aging well. Pictures were taken with the phone, so pardon the varying lighting. So far I had some delicious raw-pu-erhs from Bannacha and China-Cha-Dao. I havent understood your writing entirely. It’s a matter of the temperature at which the kill green process has taken place. Basically, for green teas that temperature is higher than that of puerh, and the effect is that all the enzymes were killed off for green tea. It “fixes” the tea, so to speak, so it won’t age. It’ll change – but for the worse, as time goes on. That’s why green teas should be consumed as soon as possible. If you’ve opened a bag of green tea before and drink it a year or two down the road, it’ll be pretty nasty. Puerh, on the other hand, is traditionally processed at lower temps. It retains some activity that allows it to age. The problem with the mechanization of tea processing is that farmers seem to be doing a more thorough job killing green – and often it seems it’s been too thorough. I’m pretty sure most sellers can’t answer your question about temperature, or they’ll tell you it’s fine. Some might even say it doesn’t matter, which is complete BS. Bradley’s advice of buying pu that’s two or three years old is a good one. It does weed out a lot of the problematic teas when it’s been two or three years. Just to be clear, “raw pu-erh” is sometimes called “green pu-erh” and they are the same thing. If someone calls something “green pu-erh” it does not mean the tea’s firing temperature was too high. But it probably means the speaker has a limited understanding of pu-erh…. Any advice wether to tell if it is a ‘green tea puerh’ or not? Except for the honey sweet fragnance which could be found in young normal sheng as well? It seems that a novice tea drinker, like myself, could be easily fooled in purchasing such puerh tea. Drink enough green tea to know what green tea should be like. 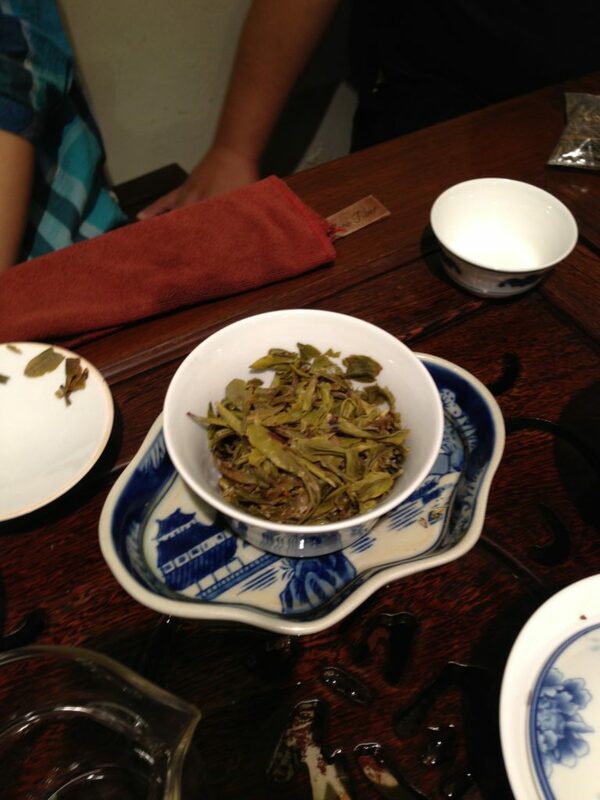 If your puerh has that classic “bean” smell/taste of green tea, chances are it’s compromised. The aromas/mouthfeel are not the same. 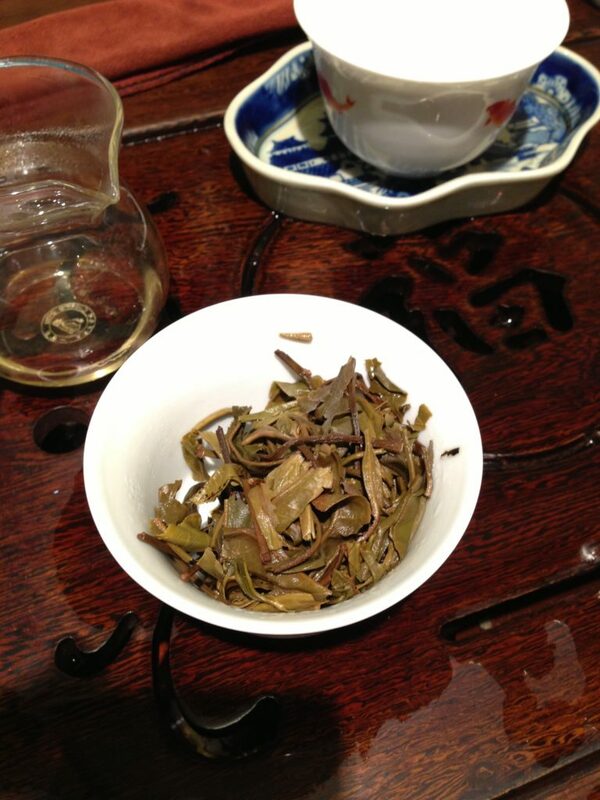 Puerh, for example, tend to become sweeter as you continue brewing infusions. Green tea, on the other hand, gets rougher and more bitter, within the same sitting. That’s just a general rule of thumb. Don’t buy tea that is younger than two or three years old. Then as long as you have sampled and it seems decent you should’ t have to much to worry about. Do you remember the 12 Gentlemen cake from 2006? I just retried it for the first time, immediately before getting on the ‘plane for Japan, and I can honestly say that it probably the most uniquely terrifying teas I’ve tried – it literally tastes of acid, it’s so sour. Even I couldn’t drink it. And I already mentioned the green tea threat back then. If it’s terrifying, I suppose it’s only true that it’s turned out poorly. When you tried it (if your blog is to be trusted) it was already three years old. Any obvious green taste would have receded by then. Drain cleaners, at least as I use the term, are teas that are strong, but not sour. Sour is never good in any tea and does not recover, especially if it’s really, really sour. My best, probably wrong guess, was that much of the tea was backed by some kind of cheap Mengku, which did as many cheap Mengku teas does and get sour. Wild leaf tea also gets sour. Mind you, some other (europe based, think french) blogger really liked this tea recently. So all of this put to my mind how a shopkeep in Guandong may well try to keep teas as news as possible, such that a 2007 Muyechun 002 tastes younger than one stored in England. I doubt it is a Mengku problem. I think it’s bad processing. It was there already when I tried in 06. Between their uber compression and dodgy processing, weird things can happen. I believe even the maker of the tea now disavows it as an early effort. They still want $400 for that “early effort”. I haven’t ever heard of a processing error that causes tea to be sour, except maybe too much prefermentation.